Tales from the Twilight World is the third studio album that was released in 1990 by Blind Guardian. 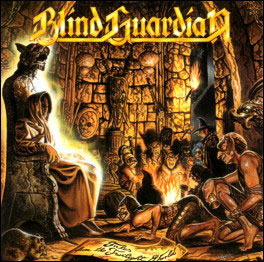 The cover artwork was created by Andreas Marschall, who has drawn the artwork for some of Blind Guardian's other releases (Somewhere Far Beyond, Nightfall in Middle-Earth, etc.). It was remastered and re-released on 15 June 2007, with bonus tracks.